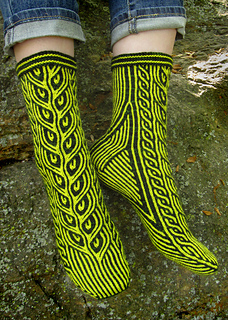 This pattern is Stage 2 of the 2015 Tour de Sock event, a speed-knitting competition benefiting Doctors Without Borders. 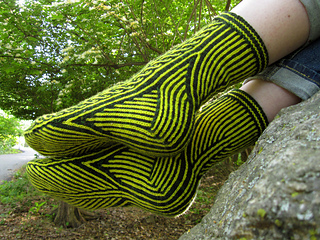 Visit the Tour-de-Sock group on Ravelry. 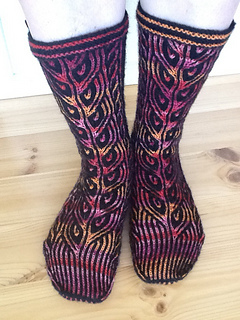 Two colors: 210(240,270) yards/190(220,250) meters each; more needed for a sock leg longer than six inches/14 cm. 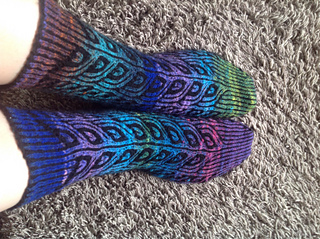 Best in solid or tonal yarns in contrasting colors or values. 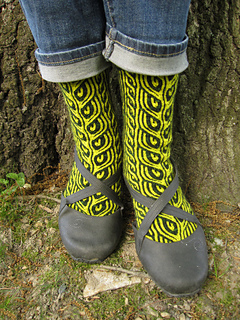 Two mirrored socks worked toe to cuff in two colors. 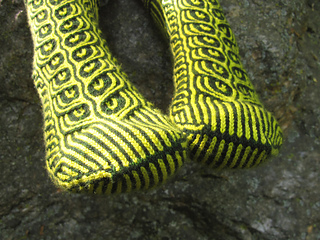 Gussets at sides, turned heel worked with no-wrap short rows, and heel flap. 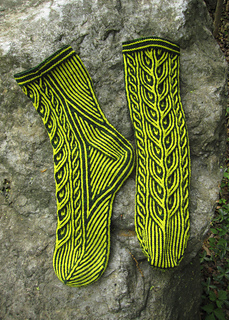 Stranded patterns (with numerous increases and decreases) worked from charts with stitch key. Links to photo tutorials are provided in the pattern and below for techniques used. 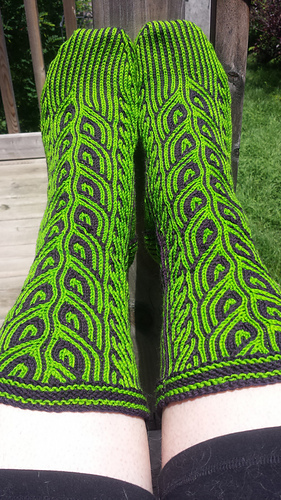 Stranded knitting, basic sock construction, working in the round on double-point or circular needles, and reading charts. 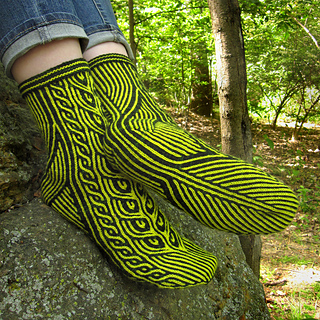 No grafting or picking up stitches necessary.